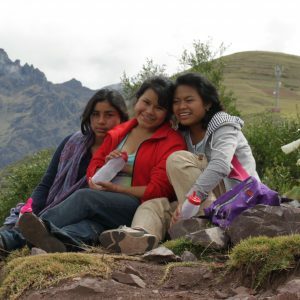 We’re looking for a few heroic individuals to act as fundraisers for Niños Del Sol. Will you help? $ 3,500 = The amount we have coming in now from regular monthly donors. We’ve cut our budget dramatically, but we simply don’t have enough revenue to keep things going. We need you to reach out to your family and friends. 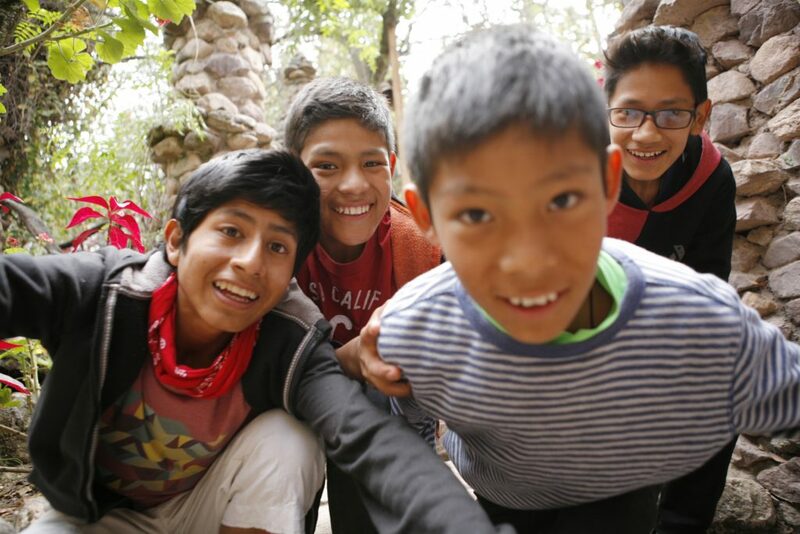 Tell them the story of your connection with Niños Del Sol. Let them know why you’ve chosen to become part of our Global Family, and ask them if they will commit to even a small monthly donation. We’re hoping each of our Heros can persuade 10 friends to donate $25 a month, for a total of $250 per campaign. But we’ll be thrilled with whatever support you can bring in! 3) Click on the words “log in” in the upper right-hand corner. 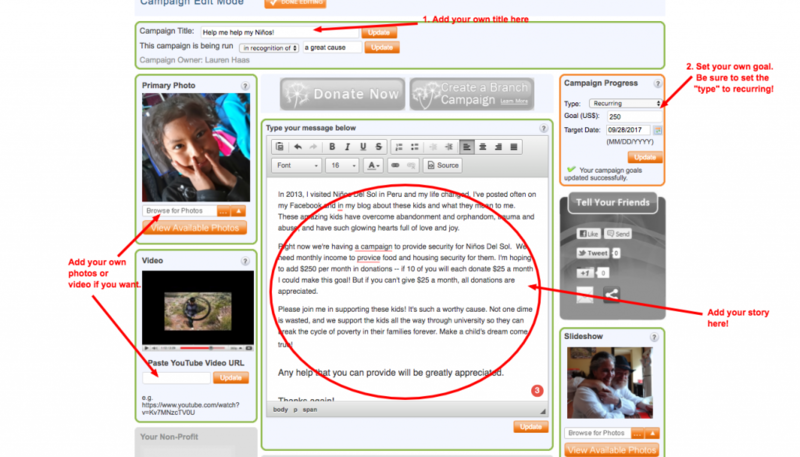 5) Set a goal (for instance, 10 friends donating $25/month each = $250 a month) and write your own text in the box. You can add your own photos, too. Tell the story of your connection to the kids, and explain why you think this is a great charity for your friends to support. If you’d like to see an example of a personalized campagin, click here to see the one I created for myself. 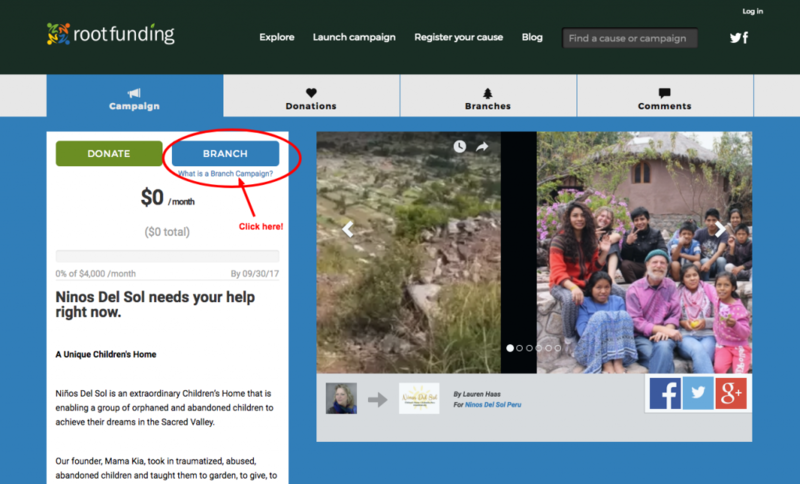 6) Click on the “Done Editing” button to publish your campaign. This will take you to your new campaign page. 6) Share your campaign on social media and/or by e-mail with your contacts and friends. Let your friends know how much more you need to reach your goal. 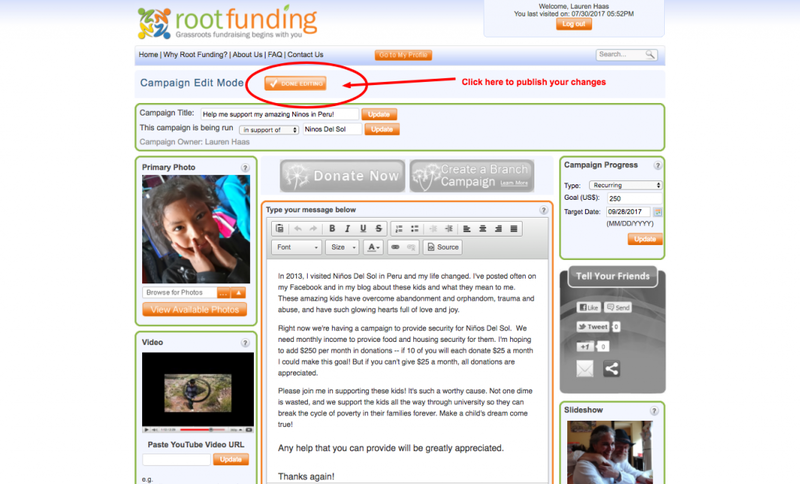 If you have any questions about using the Rootfunding campaign tool, you can call or e-mail Sandy Ungar at [email protected] or 888-766-8386 Ext 201. She is so helpful and knowledgeable, and really wants to see us succeed! 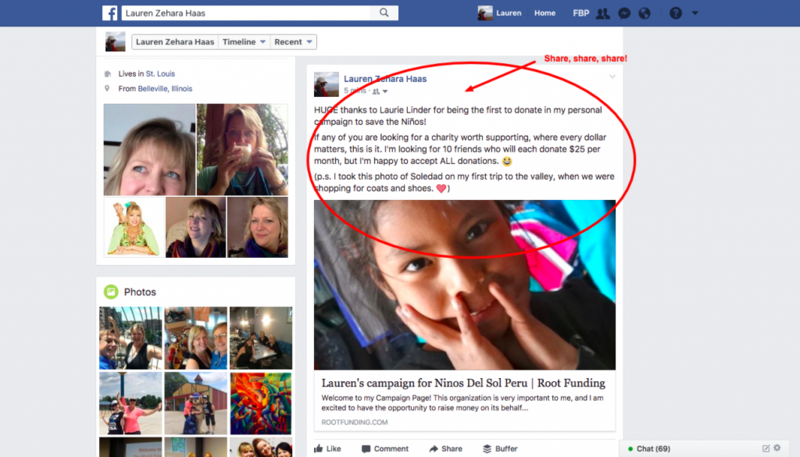 I have a Facebook group just for fundraisers like you, where I’ll share tips and ideas to make your campaign a success. Join us! Thank you always for your support and love. We’ve kept these Ninos going so far with nothing but your love and a series of miracles, paired with the hard work and sacrifices of Viviana and Avishai. It’s time to bring some security to these kids!